A small print and interactive shop based out of Austin, TX. Covering everything from Business Cards and Stationery to Blogs, Newsletter Design, and fully capable CMS systems. 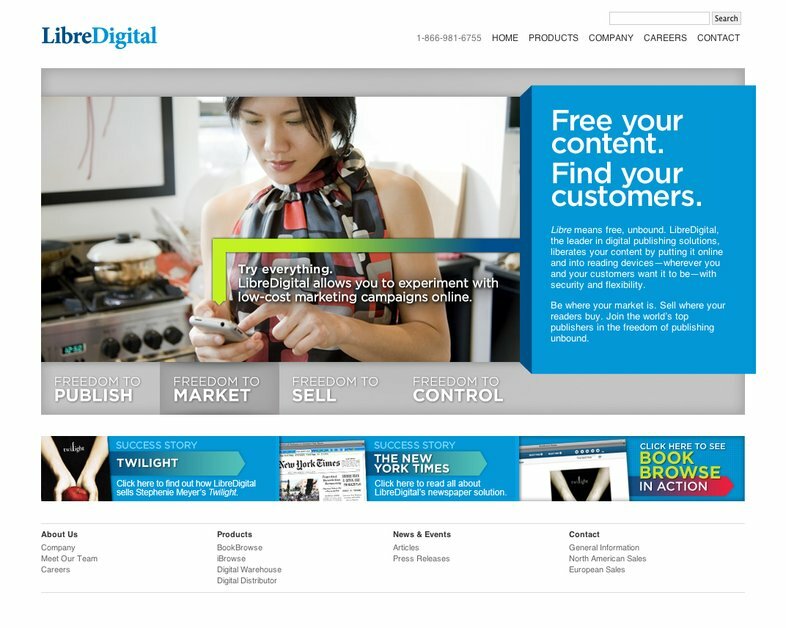 Redesign for LibreDigital.com. An up and coming digital content service provider.